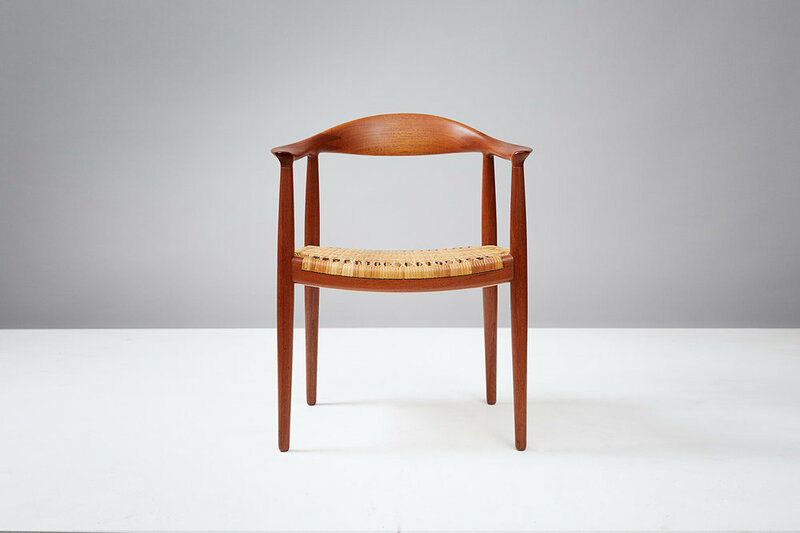 Wegner's most iconic design. 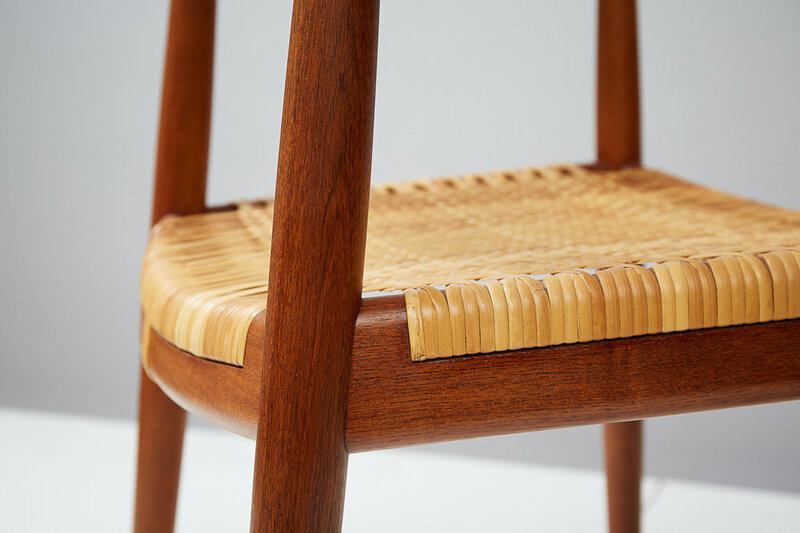 This example with teak frame and original woven rattan seat. Minor breaks in cane which do not affect use. Produced by Johannes Hansen, Denmark.